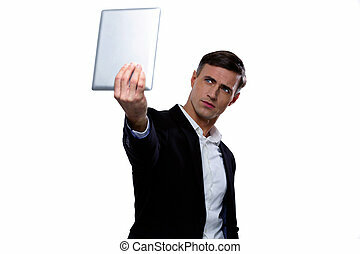 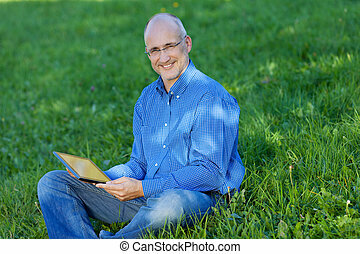 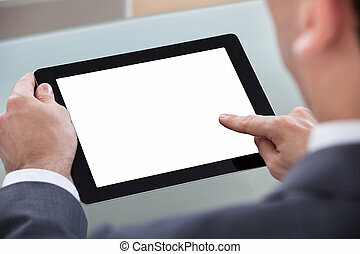 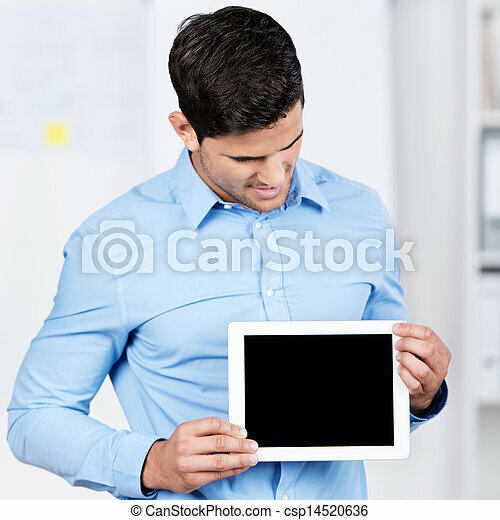 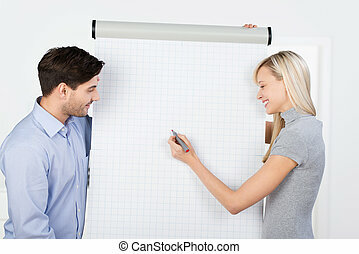 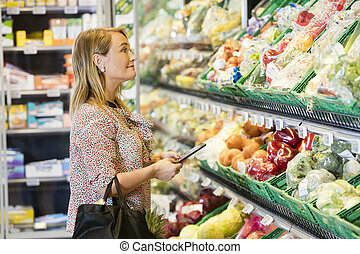 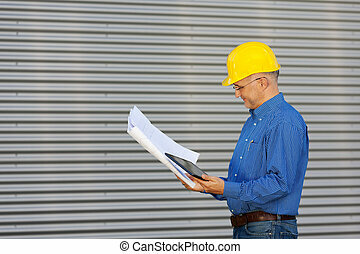 Businessman holding digital tablet while looking at it. 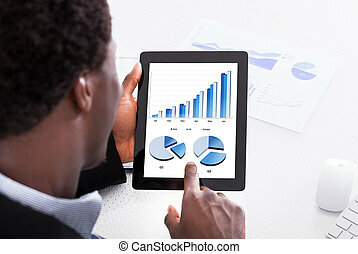 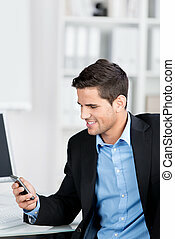 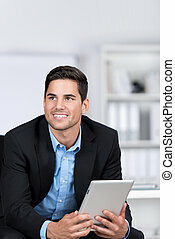 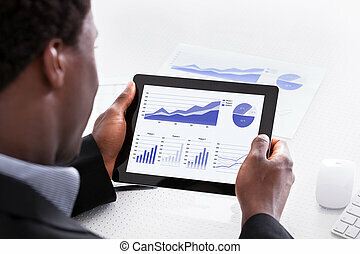 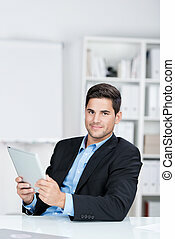 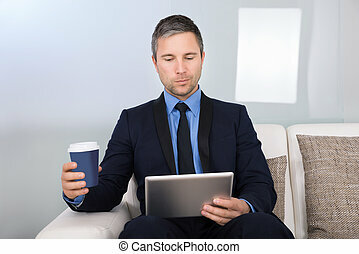 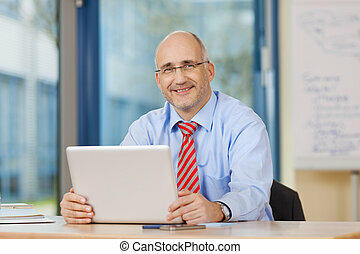 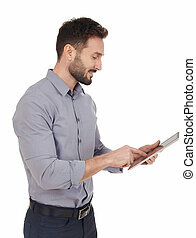 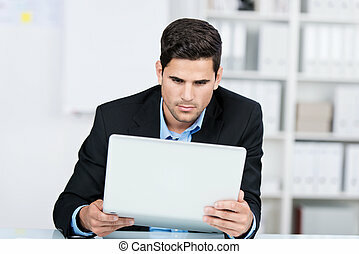 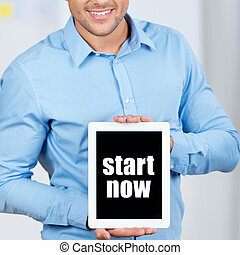 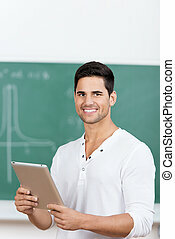 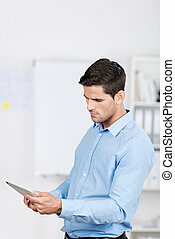 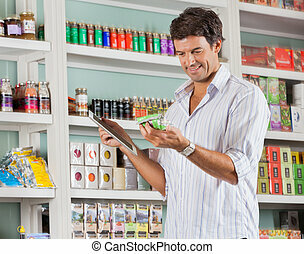 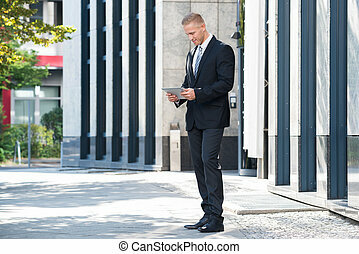 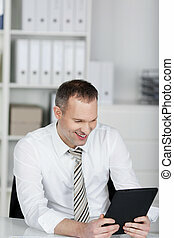 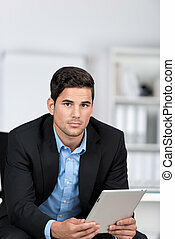 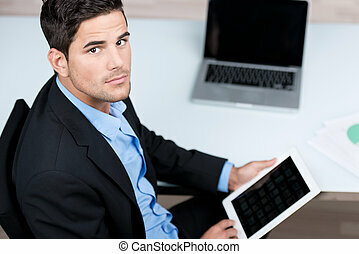 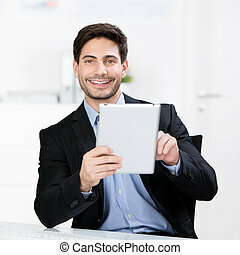 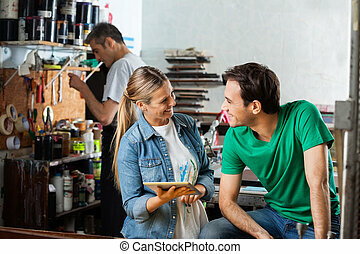 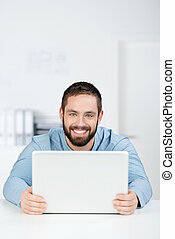 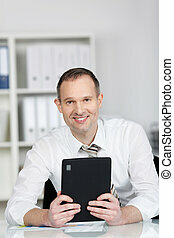 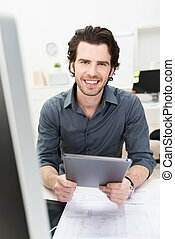 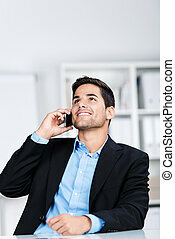 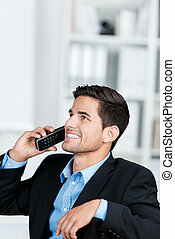 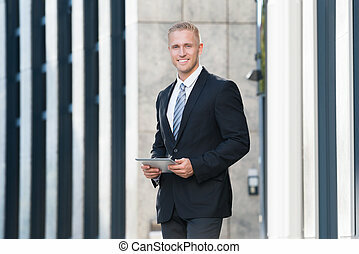 Young businessman holding digital tablet while looking at it in office. 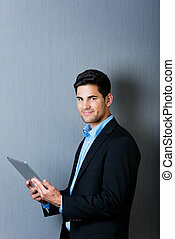 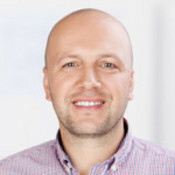 Portrait of a well dressed businessman holding a tablet computer and looking at camera, isolated on blue background. 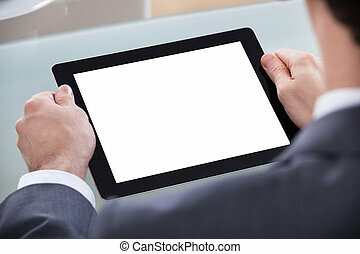 Lovely couple sitting in their living room and holding a tablet while looking at each other.